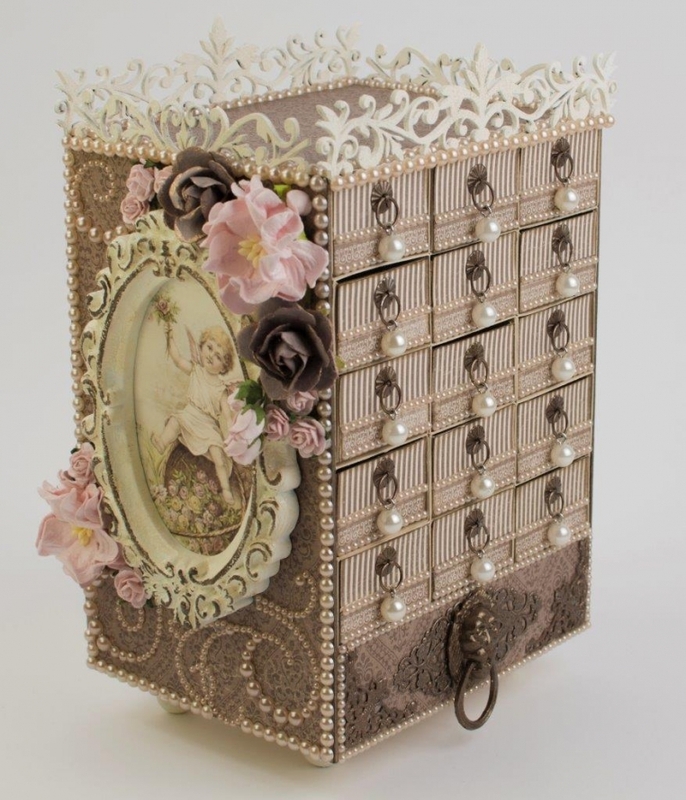 I used the brown colors from A Day in May accented with pink flowers to construct this matchbox chest. I certainly enjoy making projects with this delightful paper collection. The colors and images exude vintage Springtime nostalgia. Wow, this is amazing, I love it. Super, j’attends avec impatience le tutoriel.